Landmark Win: L.A. Is Finally Restoring The Hollywood Sign To Its Original Sentence! History just won a major victory in the City of Angels. Almost 92 years after it was erected on the side of a hill in Los Angeles, the city’s famous Hollywood sign is finally being restored to its original sentence! That’s right. Soon, we’ll be able to see the Hollywood sign as it looked when it was built in 1923, with all of the original words and punctuation restored to their former glory. Despite being one of the most iconic symbols in pop culture, the storied Tinseltown landmark has fallen into an increasing state of disrepair over the years due to damage and neglect. After nearly 50 years, the sign’s comma crumbled away in the early 1970s, and the “WOW” burned down in a 1988 fire. Still, it was the Northridge earthquake of 1994 that did the most damage, eliminating the bulk of the sign’s famous sentence. Deemed too expensive to repair in the wake of the disaster, the dilapidated landmark was left untended for much of the ’90s. Today, the sign is barely recognizable. A shadow of its former self. 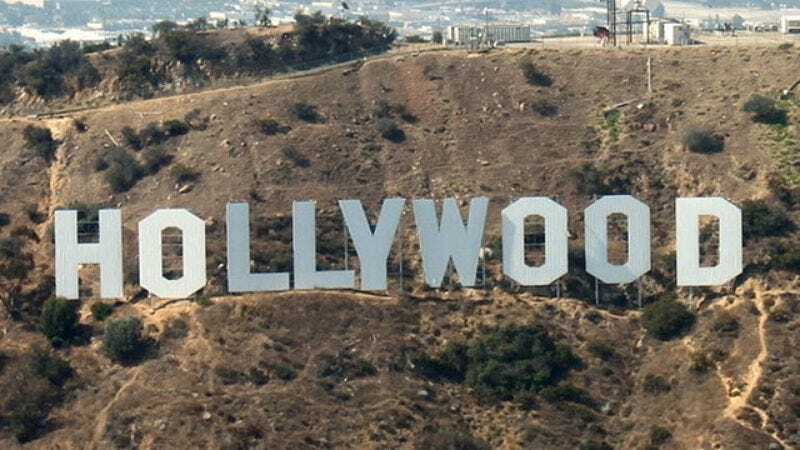 But thanks to the lobbying efforts of a group of concerned citizens, Los Angeles residents and tourists alike will soon be able to look at the iconic hillside and see the 19-word sentence, originally spoken by Samuel Goldwyn as he left a Hollywood nightclub in 1922. Amazing. Looks like the Hollywood sign is finally getting the Hollywood ending it has always deserved!